N.H. Rev. Stat. Ann. §508:4 and §508:8 Within three years of act or three years of discovery. Minors: within two years after reaching majority. N.H. Rev. Stat. Ann. 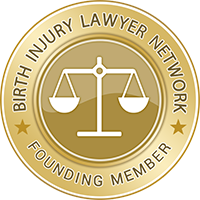 §507-C:4 Statute of limitations specific to medical injury actions (§507-C:4) declared unconstitutional by state Supreme Court (see Carson v. Maurer, 120 N.H. 925, 424 A.2d 825 (1980) and Community Resources for Justice, Inc. v. City of Manchester, 154 N.H. 748, 917 A.2d 707 (2007). No limitations. Limits on noneconomic damages (§507-C:7) declared unconstitutional by state Supreme Court (see Carson v. Maurer, 120 N.H. 925, 424 A.2d 825 (1980) and Brannigan v. Usitalso, 134 N.H. 50, 587 A.2d 1232 (1991)). §507-C:8. Limits declared unconstitutional by state Supreme Court (see Carson v. Maurer, 120 N.H. 925, 424 A.2d 825 (1980)). §508:4-e. Contingent fee agreements between attorney and client shall be governed by Rules of Professional Conduct, Rule 1.5 as it may be amended by the supreme court from time to time and by any other rules regarding fees which are adopted or amended by the court. All fees and costs for actions, resulting in settlement or judgment of $200,000 or more, shall be subject to approval by the court. Election for periodic payments for future damages in excess of $50,000 (§507-C:7) declared unconstitutional by state Supreme Court (see Carson v. Maurer, 120 N.H. 925, 424 A.2d 825 (1980)). §524:6-a. Whenever judgment is rendered against any person in this state, the court in which the judgment is rendered shall either at the time of rendition of the judgment inquire of the defendant as to the defendant's ability to pay the judgment in full or, upon petition of the plaintiff after judgment, order the defendant to appear in court for such inquiry. The court may at either time order the defendant to make such periodic payments as the court in its discretion deems appropriate.